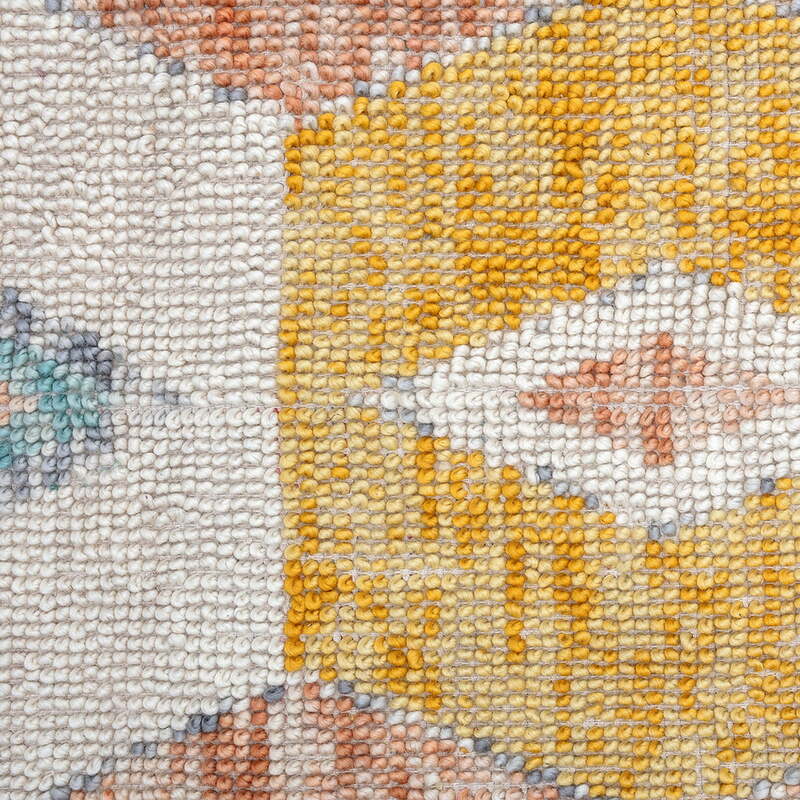 The multi-colour carpet from Bloomingville appears in a colourful Aztec look with a symmetrical pattern. Made of wool and coarsely woven, the carpet provides a pleasant feeling at the feet and wraps every room in a cosy atmosphere. The long fringes at the short ends are a great detail and underline the casual Bohemian style. 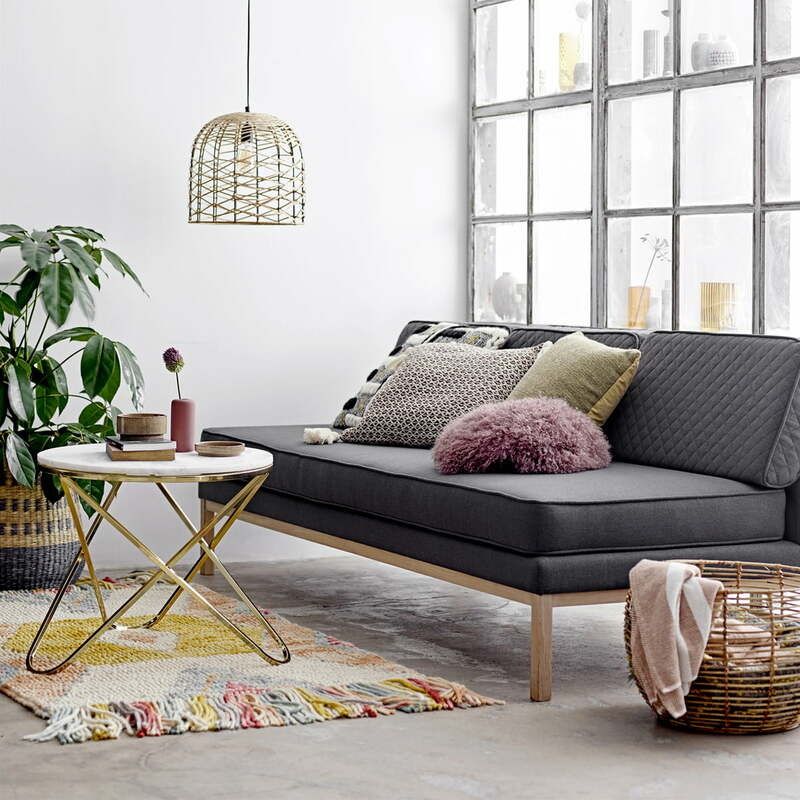 The 150 x 90 cm large carpet can be placed wonderfully in front of the sofa, but is also great in front of the bed or as an eye-catcher in the entrance area. Especially in a simply furnished ambience, the carpet shows off to its best advantage and impresses with its harmonious colour combination and cosy appearance. Carpet of Bloomingville in single view. 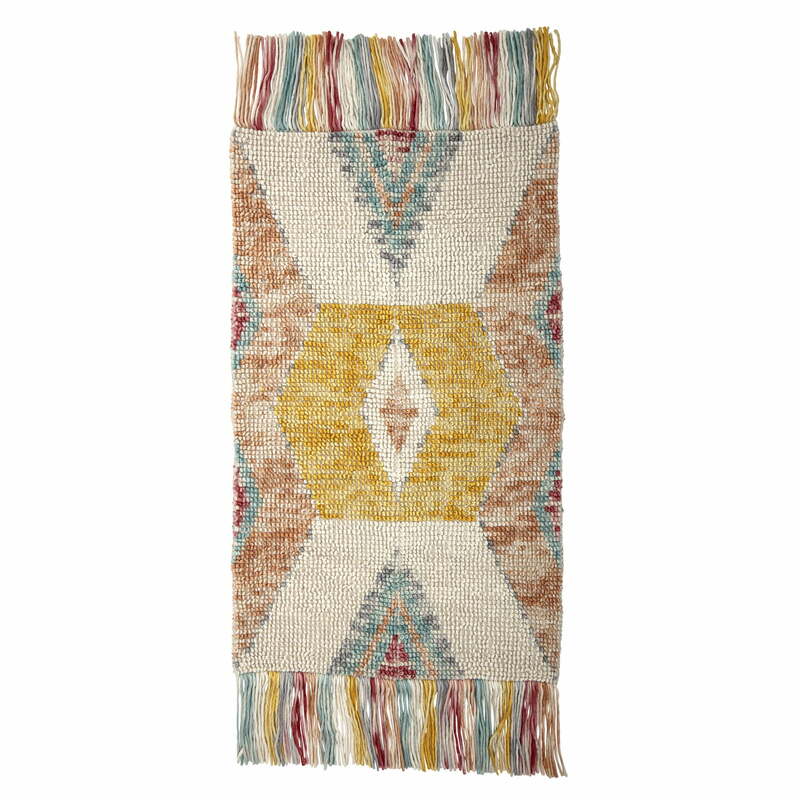 The multi-colour carpet from Bloomingville appears in a colourful Aztec look with a symmetrical pattern. 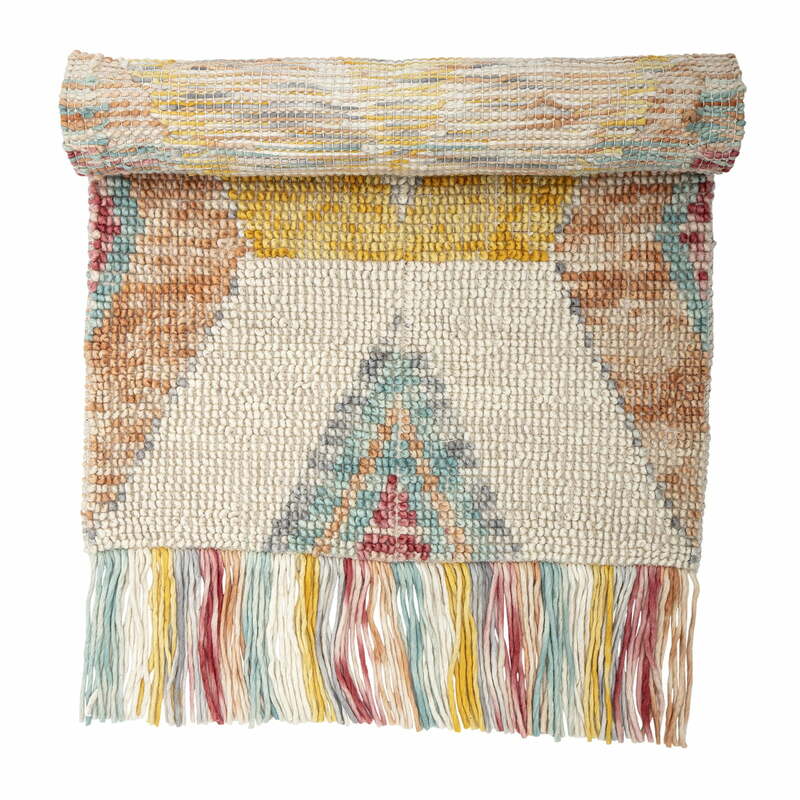 Made of wool, coarsely woven and fringed, the carpet wraps every room in a cosy atmosphere. Carpet of Bloomingville in the ambience view. Especially in a simply furnished ambience, the carpet shows off to its best advantage and impresses with its harmonious colour combination and cosy appearance.